Savvy seniors are old enough to have a past and young enough to have a future – at any age! The Savvy Senior Club meets regularly in Broward and Palm Beach Counties. Check back here regularly as new classes are added on an irregular basis. 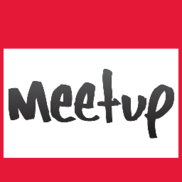 If you’re interested in attending, you can either RSVP directly to me by clicking here or by clicking the above link to join the club on meetup.com. You will receive emails each time a new meeting is scheduled so you can update your calendar and join us. USER MANUAL CLASS series. RSVP to CVE required; for CVE residents only. Pro-rated for new sign-ups. SMART PHONES/TABLETS CLASS – $5 includes light snack. Class begins with Q&A, then goes on to teach new skills. USER MANUAL CLASS Q & A. Bring your questions about weight loss, fatigue, muscle aches and more. Let’s “talk it out!” $5 includes light snack.